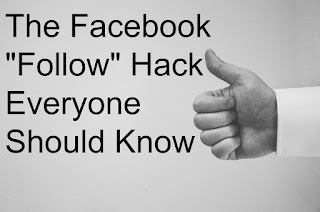 Books, Bargains, Blessings: The Facebook Follow Hack EVERYONE Should Know. 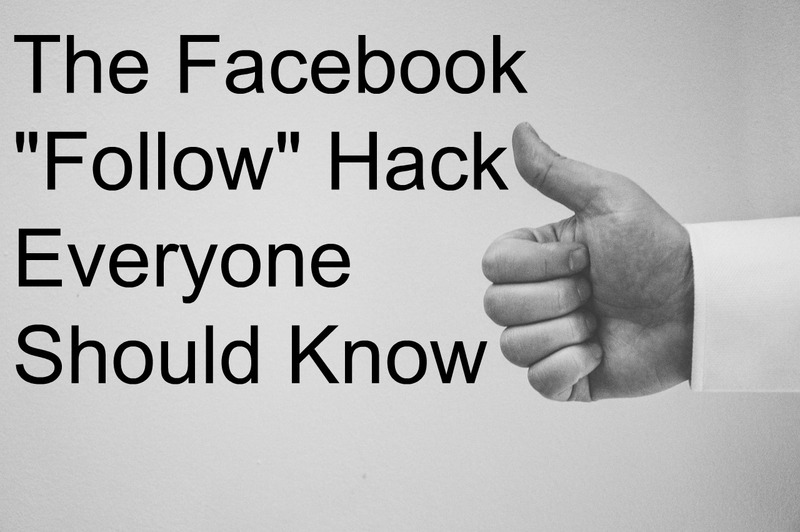 The Facebook Follow Hack EVERYONE Should Know. The other day I received a number of e-mails that said "following". There were also several that said, "." -- now I don't know about you, but for me, this is just annoying. I only make a thoughtful comment on a post and my e-mail gets slammed with posts of a punctuation mark? Personally, I have better things to do than read e-mails that contain as they call it in England, a "full stop". Usually when I get these, I am excited because it's something I would like to know more about, and I added my two cents and am waiting on others to share their knowledge of the subject. But it honestly doesn't have to happen. These people usually don't know this helpful Facebook trick to getting notifications on a post without replying to everyone who has posted before they did. It's actually very simple. All you have to do is run your mouse over the upper right area of the post where you see the little downward pointing arrow. (On a mobile device, just click on that arrow.) 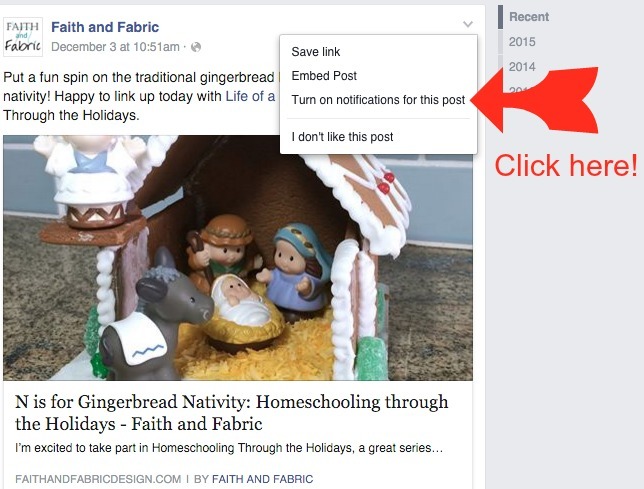 You will see the option "Turn on notifications for this post". Click on that. And SHAZAM! Just by clicking that you get all responses to that post or status update -- and you didn't have to write anything at all! Best of all, you didn't just send a notification a number of people that you are following! Working smarter, not harder is important for everyone, even on Facebook! Be sure and share this simple trick with others! Sharing this hack! Thank you! You ought to take part in a contest for one of the best sites on the internet. I'm going to highly recommend this website, official site.